Clippity-clop, horse Leopold breaks into a gallop! Who wants to ride across the children’s room like the wind? Mane and tail made of chenille. 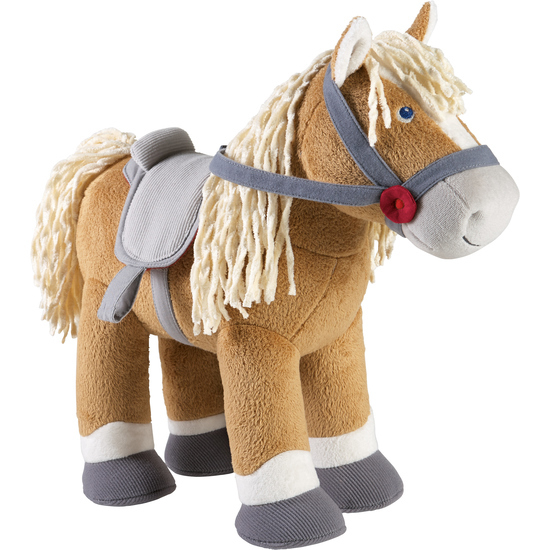 Includes removable saddle and bridle.